Scid vs. PC 4.3 is out!! 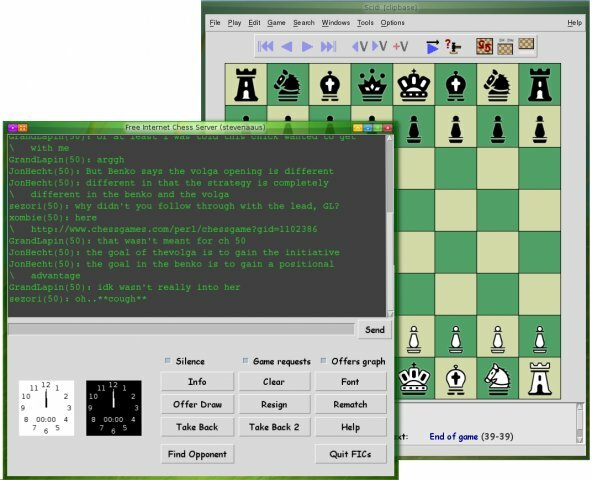 Chess2u » Computer Chess Software, GUIs » Free Chess Software » Scid vs. PC 4.3 is out!! * Gamelist now has remove-above and remove-below buttons. * FICs improvements, including a ping feature to indicate network health (*nix only), and player communications are saved as PGN comments. * New Toolbar buttons: "Load First Game" , "Load Last Game"
* Simplify the Bestgames Widget : Remove the PGN pane, nice-ify the widget, and enable graph and best widgets to remember size. * Other SCID C++ changes from Gerd and Fulvio, including "Don't decode games when copying games"
* When pasting FEN directly, do a castling sanity check. * Revert PlayerInfo to old format, but add a "Won Drawn Lost" header. Re: Scid vs. PC 4.3 is out! !